With our partner All About Hawaii you will find just the right vacation package to meet your needs. Whether you are discovering the beauty of Kauai, the volcanos of Hawaii, or taking in the beach at Waikiki. Don't wait! 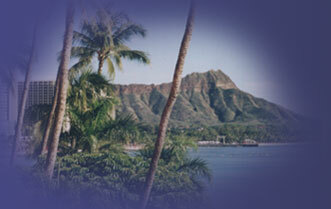 Click on the All About Hawaii logo or the picture of Diamond Head (left) and get started on your next vacation in paridise. Or, if you prefer, you can call Five Star World Travel at 714.531.6688 or fill out our quick on-line form, and one of our consultants will contact you.